Far from the 2007 predictions of a 67% decline in global polar bear numbers, the new report reveals that numbers have risen to the highest levels in decades. The US Geological Survey estimated the global population of polar bears at 24,500 in 2005. 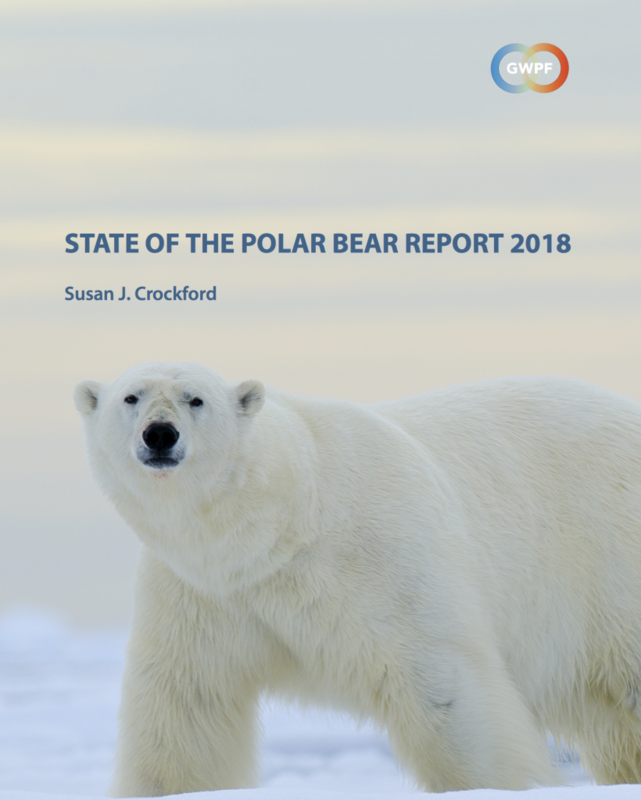 In 2015, the IUCN Polar Bear Specialist Group estimated the population at 26,000 (range 22,000–31,000)7 but additional surveys published 2015–2017 brought the total to near 28,500. However, data published in 2018 brought that number to almost 29,5009 with a relatively wide margin of error. This is the highest global estimate since the bears were protected by international treaty in 1973. Mann: "The science doesn't support this the best carbon cycle scientists who have studied this problem say 'yeah there's a certain amount of methane that we it could be mobilized and it will add to the warming, but it's a small contribution compared to the warming we are causing by the burning of fossil fuels.'" Released during a historic cold outbreak: A new climate modeling study from the University of Wisconsin-Madison, released on January 28, 2019, claims that ice fishing, hockey, skating and skiing on frozen lakes are endangered by "global warming. 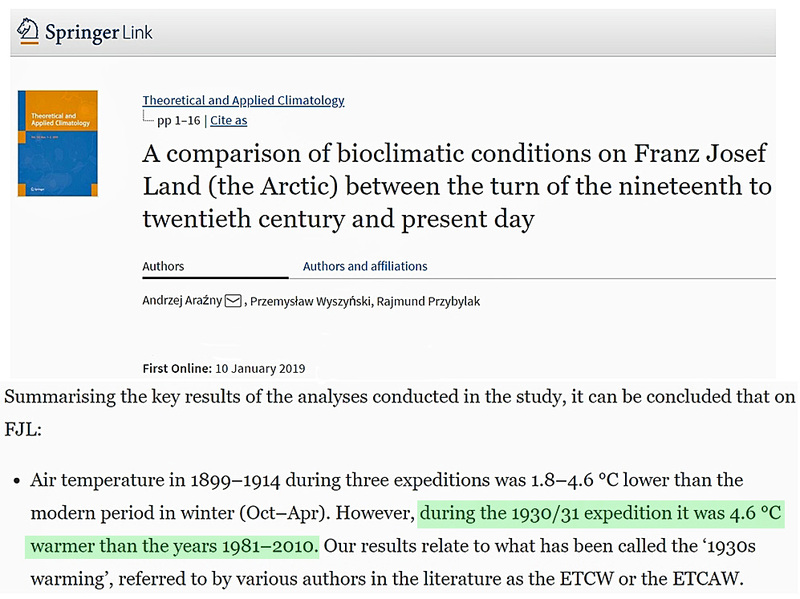 "The study states that such "iconic cold-weather past-times could become a rare winter treat" due to "global warming."